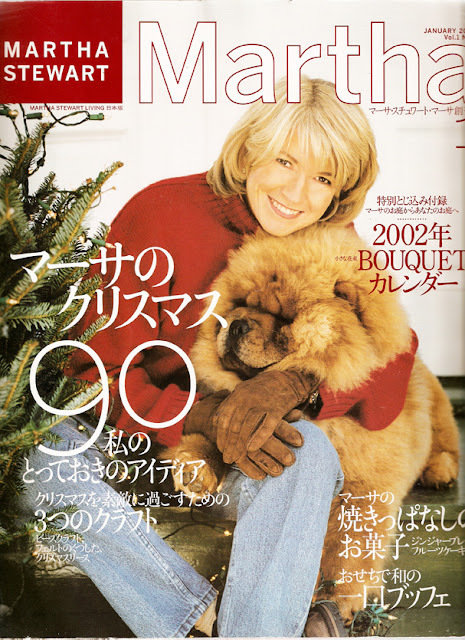 With the recent release of the Polish edition of Martha Stewart Living, I thought I'd share some images of the Japanese magazine that was issued in the Land of the Rising Sun in 2002. I have a few copies of the magazine, two of which were given to me by my friend Kenn. The magazine, called "Martha", was much bigger than "Living" and costs more, too. Each issue sold for about $13 US. The magazine printed nine copies in total before shutting down publication in August, 2003. This is the cover of the first issue that was released in January, 2002. One interesting feature is that the magazine opens from what we consider to be the back cover. In other words, the back cover is actually the front cover of "Martha." 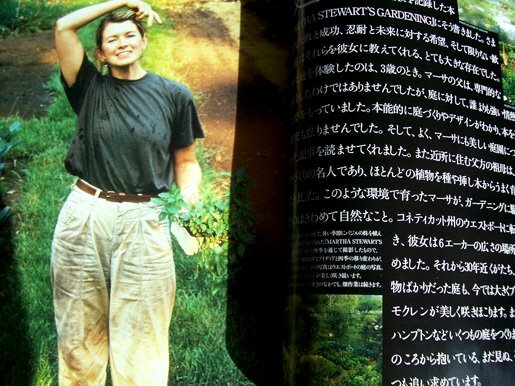 Inside the first issue is a six-page spread introducing readers to Martha Stewart with a biography and photographs of Martha through the ages. The magazine is written almost entirely in Japanese, with some English highlights. Most of the features have been published before in the English edition of "Living" but are translated into Japanese and laid out differently on the pages. 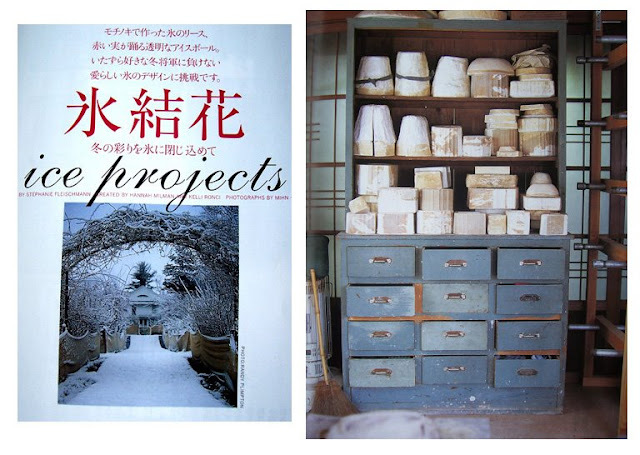 There are some original features, including articles on traditional Japanese crafts and cuisine. Some of the covers of "Martha" will look familiar to some of you. It is really weired that there are no information available whether the magazine is still published in Japan. 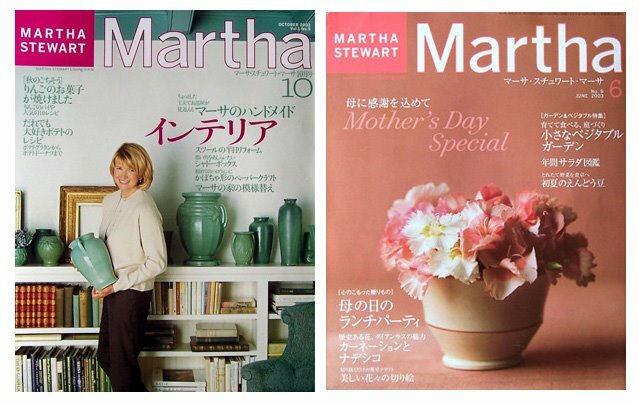 Hello, unfortunately the Japanese version of Martha Stewart is no longer being published. Thanks, ai. It confirms what I thought was true. I believe it issued 10 or 11 times.